Panama’s reputation as the most health-conscious country in Latin America dates back to the construction of the Panama Canal when the Isthmus was freed from tropical diseases. Not only did U.S. doctors help to eradicate malaria, yellow fever and typhoid; they inspired generations of Panamanian physicians to train in the US and Europe and return to their homeland to build hospitals with the latest technology. With this background it is no wonder that Panama is now in the vanguard of the new concept of health tourism. Health care in developed countries is generally exorbitantly expensive often dogged by long waiting lists and indifferent care. Now, especially in the internet age of universal communication, people from these countries are realizing that they can get as good or better treatment in other countries at a lower cost- and have a holiday into the bargain. The fascination with fitness, beauty and alternative therapies is another factor in the growth of health tourism. In Panama, health and medical tourism is growing rapidly, mostly because our medical professionals are well-trained abroad, bi-lingual and board-certified; and our hospitals have the latest technologies for surgery and sophisticated procedures. On most procedures Panama offers savings of more than 50% over US and European prices and in addition, medical expenses (including travel) can be deductible under US tax law. The services a foreigner can find here include dental implants (average cost in the US $2,500. 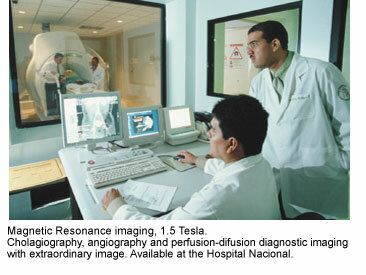 In Panama $1,000) plastic surgery, assisted reproduction, cardiology and ophtalmology. 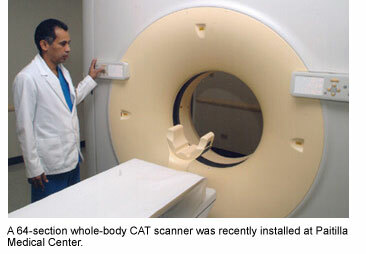 State of the art CAT scanning machines, tri-dimensional computer reconstructions and the latest radio therapies for cancer are some of the technologies available at Panama’s hospitals. The recent influx of “Baby Boomers” into Panama will serve to keep improving the facilities offered here. Dr. Richard Ford who runs a family-owned clinic is an associate of an internet - based organization called Pana-Health which directs foreign treatment-seekers to appropriate afiliated doctors, hospitals and clinics. Pana-Health is also afiliated to Pesantez Tours, a local tour operator which looks after the transport, hotel and tourism needs of health-seekers. 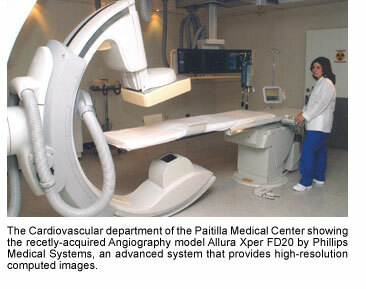 Commenting about Panama’s technology compared to that of the “developed” world, Dr. Ford said “We had a case in which a patient from the U.S. became furious with his hospital back home because it’s obsolete computer programs were not able to read the CDs containing the tests he underwent in Panama”. He commented that patients feel at ease because doctors and staff speak perfect English and feel that they are treated with respect and that doctors are genuinely interested in them as individuals instead of making them feel like a number. Two of the hospitals in Panama City which cater to foreign visitors are Centro Medico Paitilla which is afiliated with the Cleveland Clinic Foundation, and Hospital Nacional which features an international office specially to handle foreign patients. Alternative and complementary and preventative medicine is also well-represented in Panama. In the two Chinatowns of Panama city, practitioners prescribe imported herbs which are available in Chinese Supermarkets. Acupuncture has its own professional body here -a branch of the Circulo de Investigadores de Acupunctura de China. Other disciplines include Homeopathy, Homotoxology, Herbal Medicine, Prolotherapy, Intravenous Quelation, Magnetotherapy, Manual Therapies (Chiropractic, Reibi). Even Zootherapy, which apparently promotes contact with animals; helpful to well-being in some cases for children, old or incapacitated people, is offered by at least one multi disciplinary clinic. Then there are thermal springs in El Valle and Chiriqui where tourism and health truly merge. Even the humble None fruit, grown in Panamanian back gardens everywhere, proven to boots the immune system and sold cheaply in the supermarkets, adds to Panama’s healthy image.